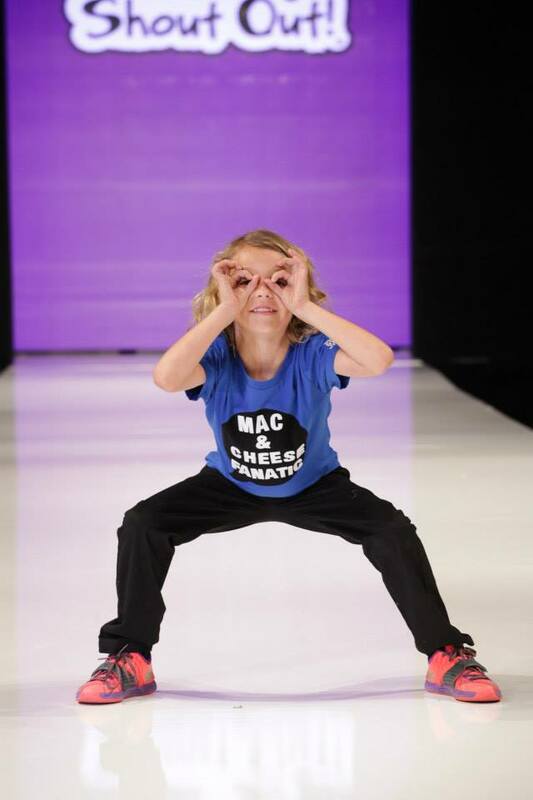 SHOUT OUT!® Apparel made a big splash among the younger set at Art Hearts Fashion (AHF) in conjunction with Parker Whitaker Productions this spring. This creative T-shirt line was the brainchild of talented actor Colin Egglesfield, who starred in the blockbuster hit film, “Something Borrowed” opposite Kate Hudson and Ginnifer Goodwin. It’s a fun, dynamic, wearable form of individual expression for kids ages 4-10. SHOUT OUT!® shirts have interchangeable ‘Velcro’-type letters, numbers and symbols that kids can arrange to send a different message every time they wear it. They can easily Shout Out! their thoughts on the dialogue- bubble message area on the front and the strip on the back. Each SHOUT OUT!® shirt comes with three copies of letters and numbers and one copy of each symbol – that’s 108 total characters to say exactly what you want to! 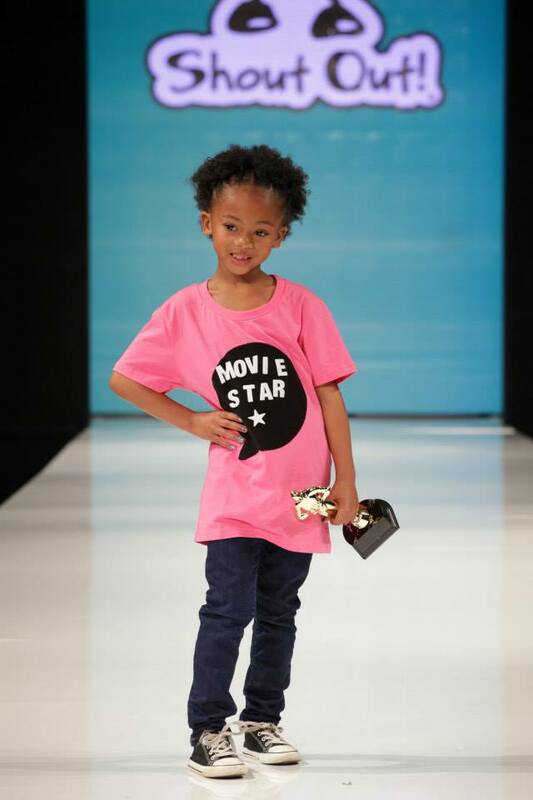 A future star struts down the runway with her award in tow.